Venetian Plaster is a tintable acrylic plaster finishing system that can develop a beautiful, highly polished appearance. The applicator can control the sheen level of the finish by simply sanding and burnishing the plaster. Various looks can be created such as polished marble, stone and suede. See details MODERN MASTERS 91999 VP-200 VENETIAN PLASTER ULTRA DEEP TINT BASE SIZE:QUART. See details MODERN MASTERS 92304 VP-303 PEARL TOP COAT SIZE:32 OZ. Modern Masters Venetian Plaster Pearl Topcoat (VP303) is used as a decorative sealer over the dry Venetian Plaster finish, adding a translucent pearl shimmer to the surface. See details MODERN MASTERS 92305 VP-302 GOLD TOP COAT SIZE:32 OZ. Modern Masters Venetian Plaster Gold Topcoat (VP302) is used as a decorative sealer over the dry Venetian Plaster finish, adding a translucent gold shimmer to the surface. See details MODERN MASTERS 99803 VP-100 VENETIAN PLASTER TINT BASE SIZE:QUART. 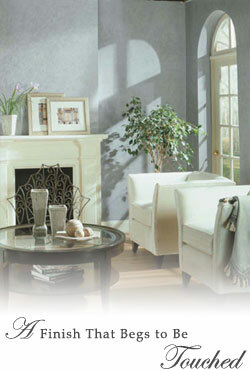 See details MODERN MASTERS 99804 VP-300 VENETIAN PLASTER SATIN TOPCOAT SIZE:QUART. 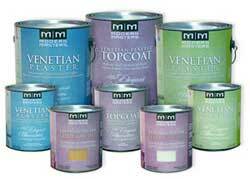 See details MODERN MASTERS 99813 VP-300 VENETIAN PLASTER SATIN TOPCOAT SIZE:1 GALLON. See details MODERN MASTERS 99814 VP-100 VENETIAN PLASTER TINT BASE SIZE:1 GALLON.